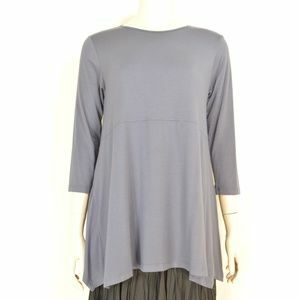 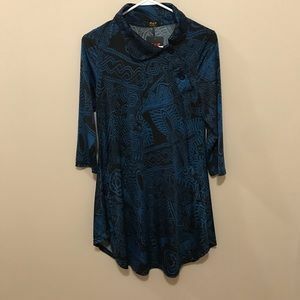 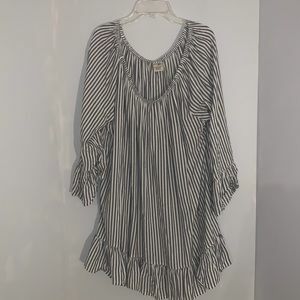 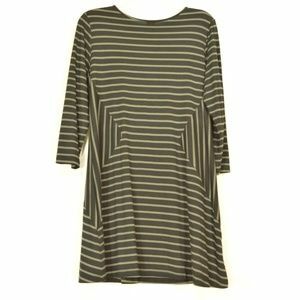 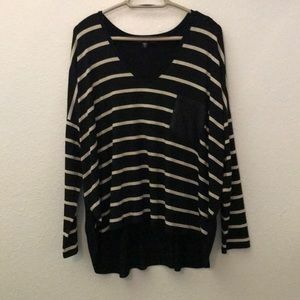 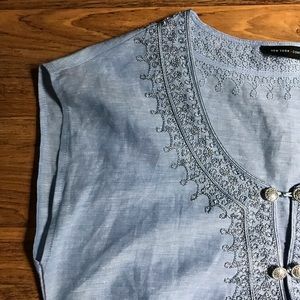 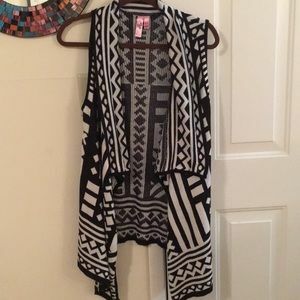 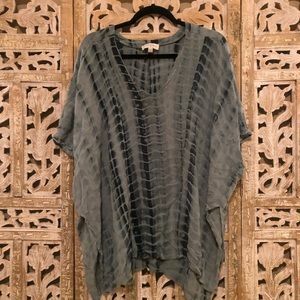 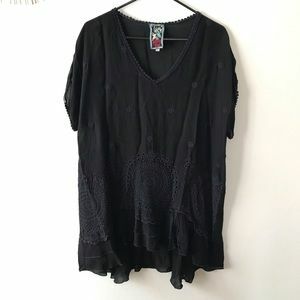 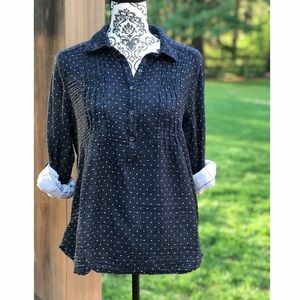 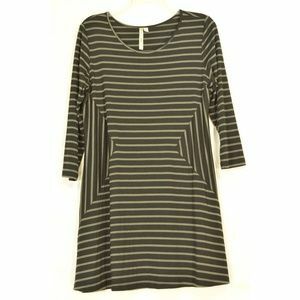 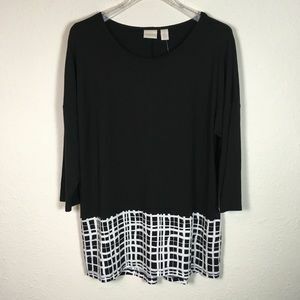 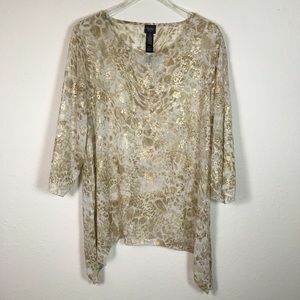 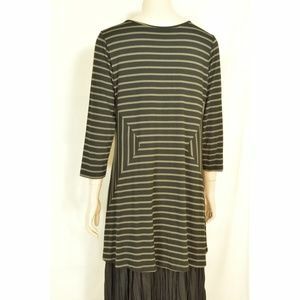 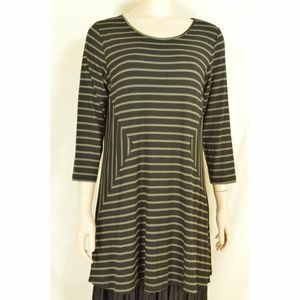 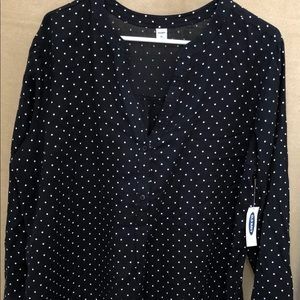 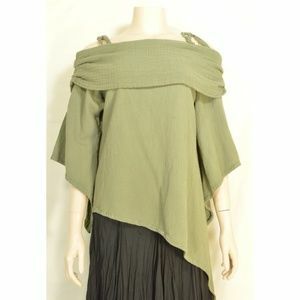 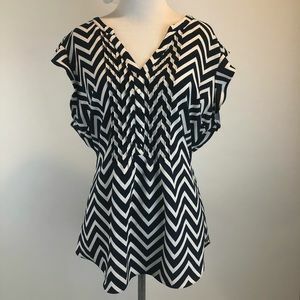 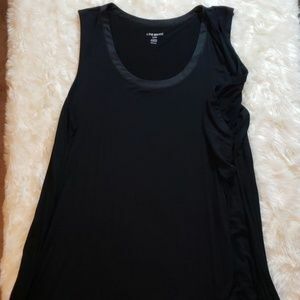 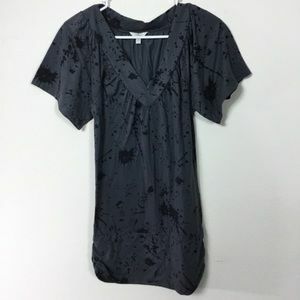 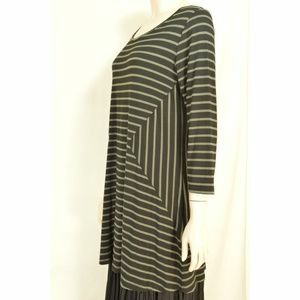 Comfy USA top or tunic, black with gray or taupe stripes in a geometric pattern Chic jersey knit 70% rayon + 22% modal + 8% spandex Tag size M Read Measurements 👇 Made in USA. 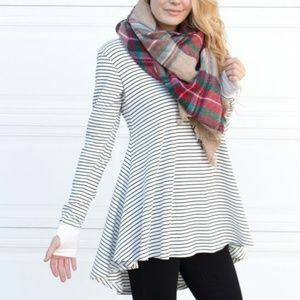 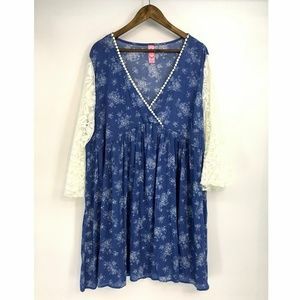 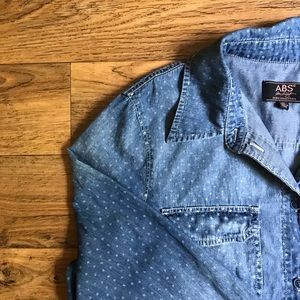 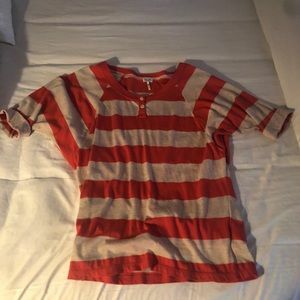 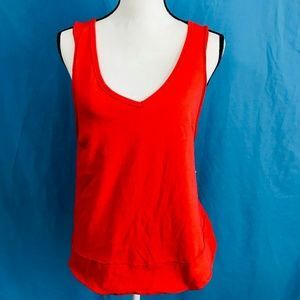 * Approximate un-stretched measurements in inches: shoulder to shoulder 15, armpit to armpit 20, waist 40, hip 48, length from shoulder seam down to bottom 33. 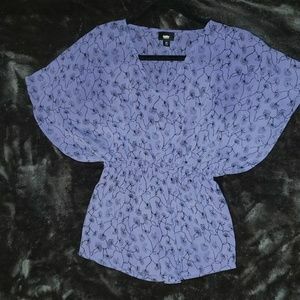 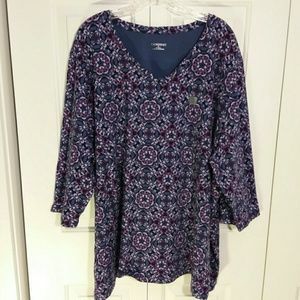 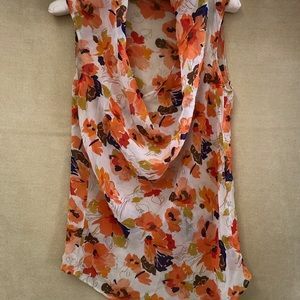 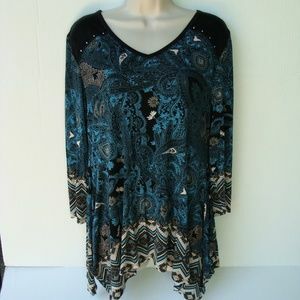 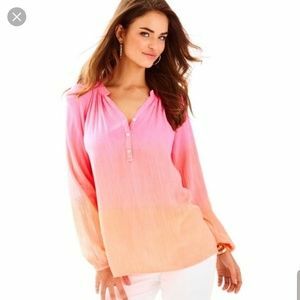 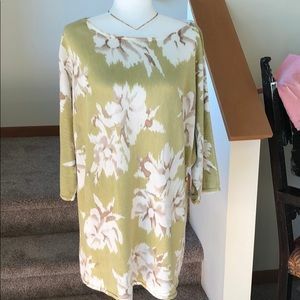 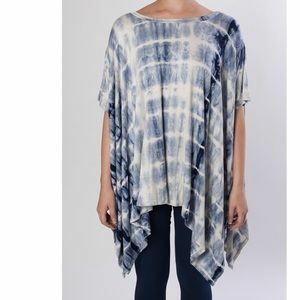 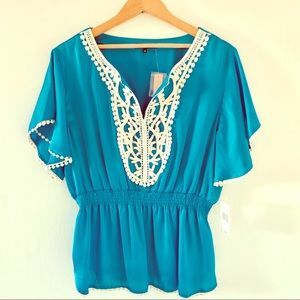 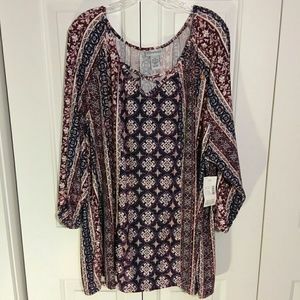 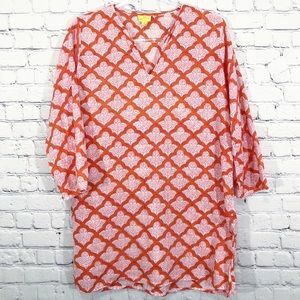 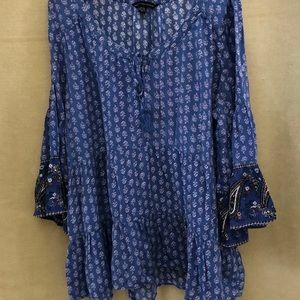 Beautiful colors in this tunic!